Winning the World Matchplay for an incredible 16th time was supposed to be Phil Taylor’s last hurrah but the greatest darter in history may have another triumph up his sleeve before he heads into retirement. The Power has enjoyed trips to Wolverhampton every bit as much as his weeks in Blackpool over the years and a seventh victory in his final Grand Slam is definitely there for the taking. Taylor’s a 10-1 shot this year to get the better of a field culled from both sides of the darting divide. The 32-man field includes eight players from the BDO, including their world champion Glen Durrant and number one Mark McGeeney. The format is unchanged – the first round is a round-robin featuring eight four-man groups with games played over a blink-and-you-miss-it nine legs – and Michael van Gerwen is the odds-on favourite to complete his hat-trick. Peter Wright and Gary Anderson are the heavyweights in the bottom half of the draw which also features Durrant and McGeeney, plus rising star Corey Cadby and the in-form Mensur Suljovic. 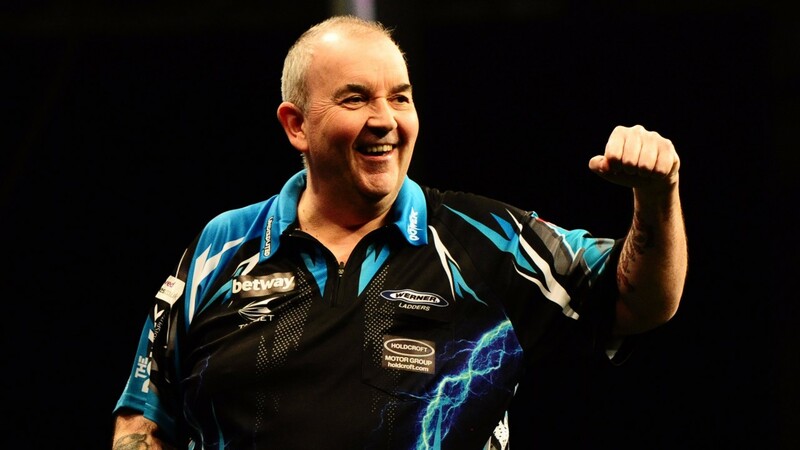 Taylor is slated to meet Van Gerwen, against whom he has won his last two showdowns, in the semis. Those meetings show the Power can definitely still fluster the Dutchman. He’s 57 now but the workload of a week at the Winter Gardens didn’t get to Taylor and nor should this, especially as he arrives at the Civic Hall pretty fresh having not played since last month’s German Masters, where he reached the final. Taylor remains a class act with a winning mentality and if he can qualify from a group featuring the inconsistent duo of James Wade and Robbie Green plus Aussie first-timer Peter Machin, then he can get stuck into the longer-format matches and go all the way. What punters really like about this tournament is the group format and the presence of an octet of BDO players. Only one of their number – Scott Waites – has ever reached a final (the Yorkshireman did it twice) but they do produce plenty of qualifiers. Last year five of the eight groups saw a BDO player go through and Betfred go 4-6 there are three or more qualifiers from that organisation. And there are three who look well worth backing, including stylish youngster Danny Noppert, who has recently turned professional. This year’s Lakeside runner-up beat Mensur Suljovic on his debut in 2016 to emerge from a tough section so will have no fears taking on Daryl Gurney, Darren Webster and Mark Webster in Group D.
Noppert is an even-money chance to make the second round and another couple to mull over at big odds are McGeeney and Cameron Menzies. To finish top two in a four-man group they may only need one win and the short format probably plays into the hands of the BDO players since they have very few marathon events on their schedule. Menzies, a fast-throwing Scot, takes on Gary Anderson, Simon Whitlock and Berry van Peer, a Dutch youngster who has qualified as last year’s world youth runner-up but has done precious little in the 12 months since. We know all about Anderson and Whitlock but if Menzies can stay cool – and he throws so fast that he’ll struggle to find the time to get too edgy – and reproduces the form that saw him pocket two titles this year and reach the World Masters semis, he’s got a genuine claim. McGeeney should be even more optimistic of getting through his section, which features Suljovic, Michael Smith and James Wilson. The Power arrives at the Civic Hall pretty fresh having not played since last month’s German Masters, where he reached the final.